Loham is a Malayalam thriller film written and directed by Ranjith based on the infamous gold smuggling in the state of Kerala, which stars Mohanlal and Andrea Jeremiah in lead roles. The film is produced by Antony Perumbavoor under the banner Aashirvad Cinemas. Sreevalsan J. Menon composed the music while C. Rajamani created thebackground score. The cinematography was handled by Kunjunni S. Kumar. Actress Mythili debuted as assistant director through the film. 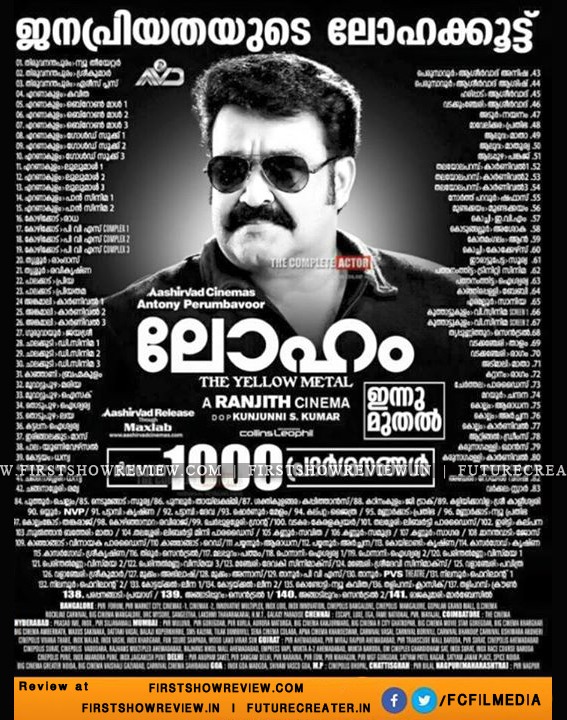 Loham opened in theatres on 20 August 2015 over 250 theatres across India, with about 1000 shows daily.